Free entry but signing up for membership appreciated. A privilege to announce a major new project – 30 contemporary writers present new works, each celebrating a writer from around the world who is currently part of the English PEN Writer’s at Risk programme. Each of the 30 English writers will present brand new poetry, text, reportage, performance and film on the day that celebrates and evidences the struggle of fellow writers around the world, in solidarity. The full line up of authors is below. The one day mini-festival takes place at Rich Mix Arts Centre, just off Brick Lane, London, 2pm til 9.30pm, in 3 sessions throughout the day. All are free to attend but attendees are encouraged to join English PEN or donate to the charity if they are already members. The festival is intended as a call to membership for writers, artists and readers in a time where we face perilous challenges to our freedom of expression and fundamental rights and hard fought liberties, both internationally and here in the UK. 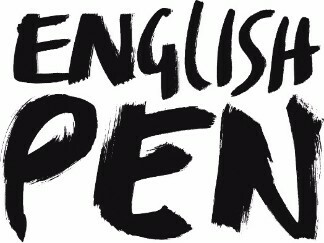 As the world changes so remarkably, and so rapidly, and on a global scale, it is vital the political will of our time and this generation of young, dynamic writers is directed purposefully to the work of English PEN, the writer’s charity. The hope is this festival, away from creating at least 30 new members of PEN, begins involvements and connections which will have exponential resonance for decades to come.